Since 2010, UVic Visual Arts students have been benefiting from a $2-million gift from BC art philanthropist Michael Audain and the Audain Foundation. The gift established the Audain Professorship in Contemporary Art Practice of the Pacific Northwest, which sees a distinguished practicing artist brought in annually to teach in UVic’s Department of Visual Arts. Since the establishment of the Audain Professorship, Visual Arts students have learned under the likes of Governor General’s Award-winner Rebecca Belmore, Michael Nicol Yahgulanaas, Nicholas Galanin, Jackson 2Bears, and, most recently, ’Namgis nation chief Rande Cook. Audain — the great grandson of James Dunsmuir — attended Victoria College from 1959 to 1960 and is the chairman of Polygon Homes Ltd. A philanthropist and businessman, Audain is the chairman of the Audain Foundation for the Visual Arts in British Columbia and chair of the National Gallery of Canada. He is a generous supporter of visual arts and culture in BC and throughout Canada, with a specific interest in Aboriginal and contemporary art. 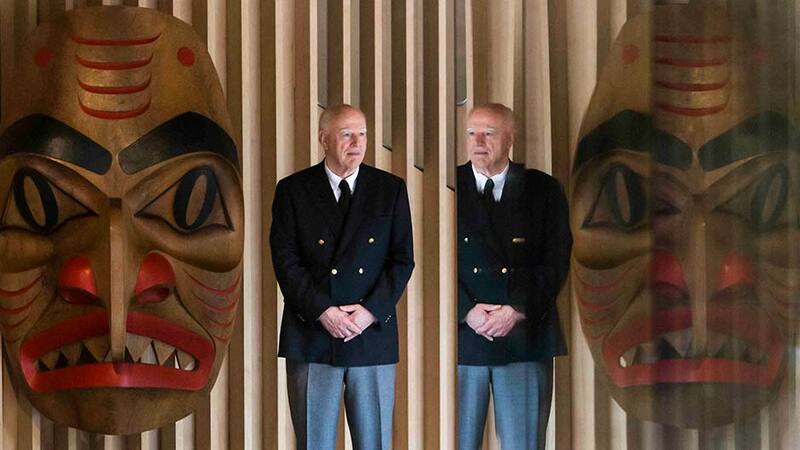 Audain is dedicated to raising awareness of Canada’s artists and is an avid art collector, as evidenced by the March 2016 opening of the Audain Art Museum in Whistler, BC. The Audain Professorship in Contemporary Art Practice of the Pacific Northwest helps foster UVic’s commitment to providing all Visual Arts students with the very best training in contemporary art practice.